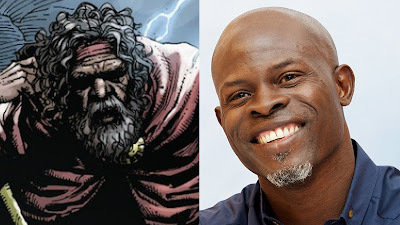 It is being reported that Blood Diamond and Guardians of the Galaxy actor Djimon Hounsou has been cast to play the Wizard in Shazam. In the comic books, the Wizard is the one who grants Billy Batson (Asher Angel) the powers that turn him into Shazam (Zachary Levi). Hounsou is a fantastic actor. He is a comic book movie veteran, and he will be reprising his role of Korath from Guardians of the Galaxy in next year's Captain Marvel. 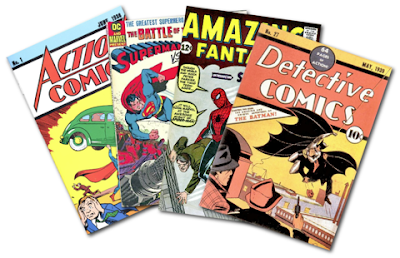 Ironically, Hounsou will be in both Captain Marvel and Shazam next year, whose leading characters have both had the name "Captain Marvel" in the comics. Recruiting Hounsou is only going to enhance the film. What interests me is the timing of this casting announcement. Are they still shooting? I was under the impression that the movie was in post-production, but I could be wrong. So either they are still shooting and they just brought Hounsou on now, or they already finished shooting and we are just now finding out that Hounsou is involved. I guess it doesn't really matter in the grand scheme of things, but I just find it interesting. Overall, I'm really psyched to hear that Djimon Hounsou will be in Shazam, and it only builds my interest in this film. It has been confirmed that District 9 director Neill Blomkamp will be helming RoboCop Returns, a sequel to the original 1987 film. After 2015's Chappie, Blomkamp hasn't had any work as a director. He had been working on an Alien film, which I was incredibly excited to see, but that was canned in favor of Ridley Scott's Prometheus movies, which were ultimately shut down after Alien: Covenant under performed at the box office. Blomkamp hasn't been able to recapture the magic of District 9 with any of his other films, which subsequently led to him not getting many job offers. But now we hear that he is doing RoboCop Returns. 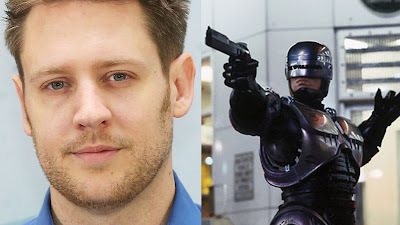 There was a little piece of me that was still holding out hope that Blomkamp would end up doing Alien, so hearing that he's doing RoboCop pretty much ensures that that's not going to happen any time soon, or at all. But with that aside, I think this is a good move. Blomkamp needs something to get himself back on top, but since District 9 he has struggled in telling his own original stories. Perhaps playing around with something that has already been established will ultimately help him. I'm also glad to hear that it's a sequel to the original. The 2014 reboot was good, but I think there's more story to tell branching off of the original. 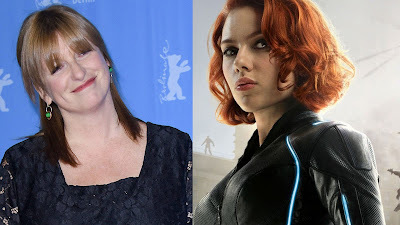 It is being reported that Berlin Syndrome director Cate Shortland has been brought on to direct the Black Widow stand-alone film for Marvel. 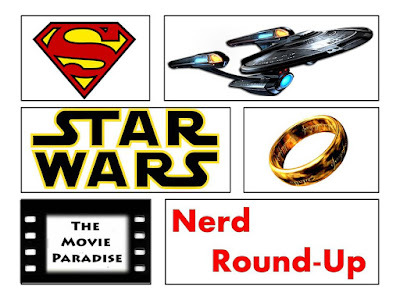 I have been kind of indifferent towards a Black Widow movie thus far. I'm not opposed to the idea, but the movie isn't really at the top of my priority list for what I want to see Marvel do next. But I do know that if Marvel was to do a Black Widow movie, it would be awesome. And getting a quality director like Cate Shortland is proof of that. Like many of Marvel's directors, she is someone who has done a few smaller, really strong films and she is now being given a chance to do something bigger. It has worked in the past with James Gunn, the Russo Brothers, Scott Derrickson, Taika Waititi, and the list goes on. So I have great confidence that Shortland is the right pick for this project, and that she is going to do a great job with it. I'm turning around on the idea of this Black Widow movie more and more. The idea of seeing Marvel's take on a Jason Bourne-esque thriller with Scarlett Johansson is really intriguing, and I think there are a lot of great things you can do with this movie. Plus, it may be a good change of pace to go from universe-bending movies like Avengers: Infinity War to a simple espionage film. We'll have to wait and see how this all turns out.